Remember Evver? We posted about it a couple months back, in our “Finished Projects” bucket. Evver.com in case it doesn’t ring a bell, or view the spectacular case study. 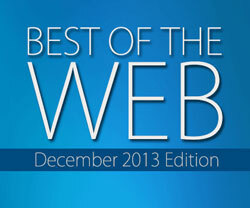 In any case, Evver was recently named as one of the top 25 Web Sites for December of 2013, by the site Tech Attend. That’s a nice feather for our little cap! Merry Christmas to us. Check out the full list at techattend.com.